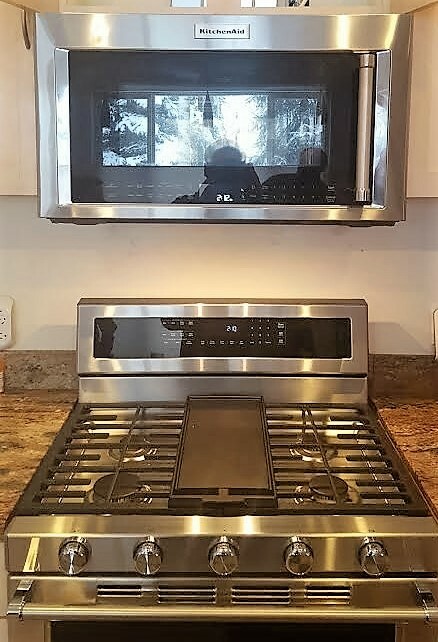 Gas & Electric Range Installation in Anchorage AK | Alaska Appliance Installers, Inc.
Alaska Appliance Installers, Inc. has over 25 years in the Appliance Industry in South Central Alaska. By working with Local Builders, Designers, Retailers, Moving Companies, Private Sales and even the occasional Do-it-Yourselfer or “Handyman”, our licensed and factory trained technicians will be able to promptly assess your appliance project and give you an estimate on the spot! Call Alaska Appliance Installer’s Help Line at 907-333-4449 to purchase our professional installation or to discuss any purchase, delivery or installation questions you may have. satisfied with any aspect of our workmanship, we will fix it free of charge.